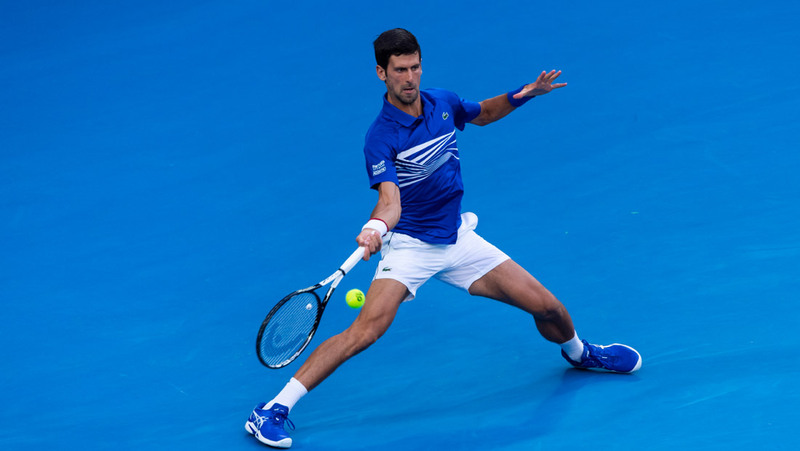 Top seed Novak Djokovic started his bid for a record seventh Australian Open title on Tuesday with a 6-3, 6-2, 6-2 victory over qualifier Mitchell Krueger. The first break of the match went the American’s way, but the world no.1 immediately bounced back and took over control. Djokovic broke serve twice in each set and improved to a 4-1 record on the season. Novak was solid on serve, winning 85 per cent of his first serve points, and hit 22 winners more than his rival, to complete the win in two hours and three minutes. Match statistics: aces (6-2), double faults (2-2), winners (42-20), unforced errors (26-28), total points won (109-73). The 31-year-old Serbian star will next play Frenchman Jo-Wilfried Tsonga, who beat Martin Klizan 6-4, 6-4, 7-6. The 2008 Australian Open runner-up was given a wild card into the main draw. Novak leads Tsonga 16-6 in their ATP H2H series. Nole is currently tied on six crowns for most titles at the Australian Open with Roger Federer and Roy Emerson.